WAYNE GLADSTONE is a longtime columnist for Cracked.com. 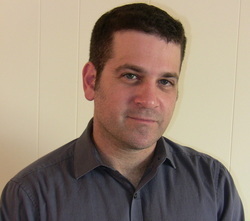 He is the creator and star of the Hate by Numbers online video series. His writing has appeared on McSweeney’s Internet Tendency, Comedy Central’s Indecision, and in the collections You Might Be A Zombie and Other Bad News and The McSweeney’s Joke Book of Book Jokes. He lives in New York. Click here for more stories by Wayne Gladstone. 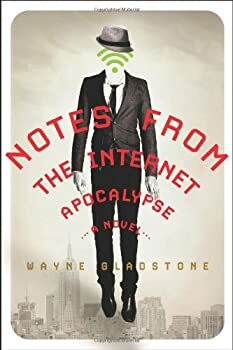 Humorist Wayne Gladstone takes on the American obsession with the internet in Notes from the Internet Apocalypse, an amusing but thoughtful look at what might happen to our culture if the world wide web went down for good. Gladstone himself is the protagonist of his story. Since both his job and his free time activities depend on the internet, he has no idea what to do now that it’s gone. So he begins keeping a journal about how the world is handling the crisis. Accompanied by a guy he’d previously met online and an Australian girl who earns her living selling online access to her in-shower webcam, Gladstone sets out on the streets of New York City to try to find out what happened to the internet. Is it a government conspiracy? Right-wingers? Muslim terrorists?